One of the best parts of playing with Lego is the lack of boundaries. You can spend your time trying to recreate the set on the box or use your imagination and build something completely different. Sometimes it's a mix of the two and you add your own mark to it. Either way, Lego has always encouraged creativity, never establishing a right or wrong way to play with them. That's why we often see children mix and match their playsets, combining the likes of Harry Potter and Lord of the Rings Lego to create a new and exciting world. 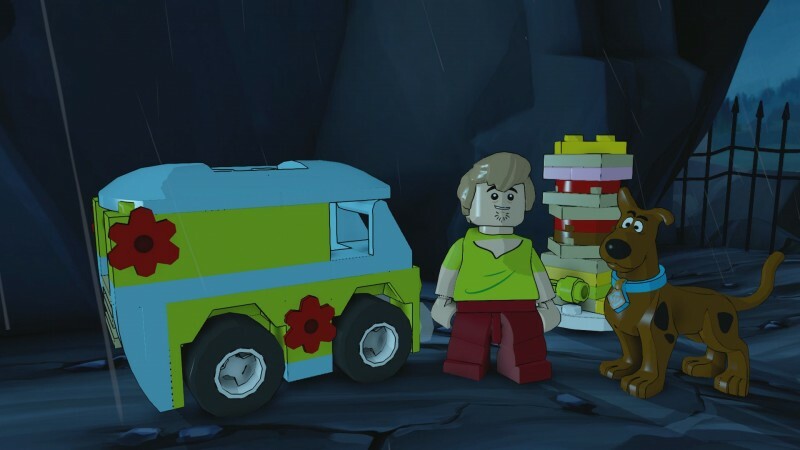 This idea is the driving force behind Lego Dimensions. What if you didn't have boundaries between any franchise and its world, allowing even the most unlikely licenses to collide? How would it be to see Batman following the yellow brick road? 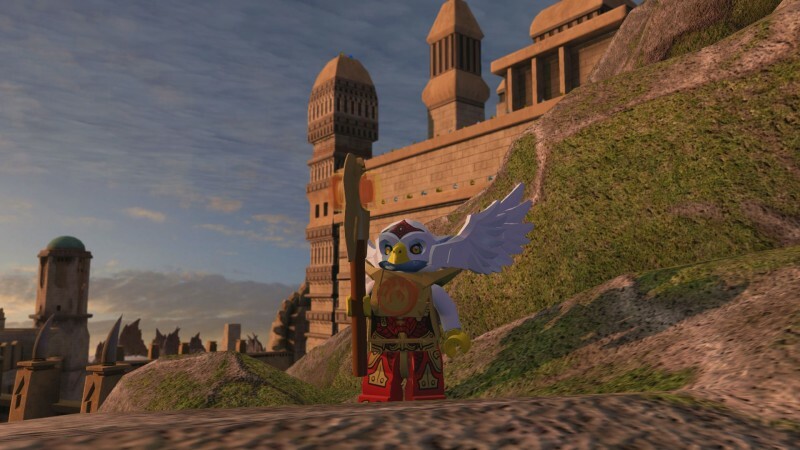 Traveller's Tales (TT Games) takes on this interesting possibility in one of its most ambitious projects to date: Lego Dimensions, which features 14 different licenses. We got hands-on time with the game at a recent Warner Bros. press event in Santa Monica. From the great humor to the nostalgic franchises to its tried-and-true gameplay, Lego Dimensions feels like a combination of everything Lego has done well in recent years. Here are some reasons why we're excited for it. 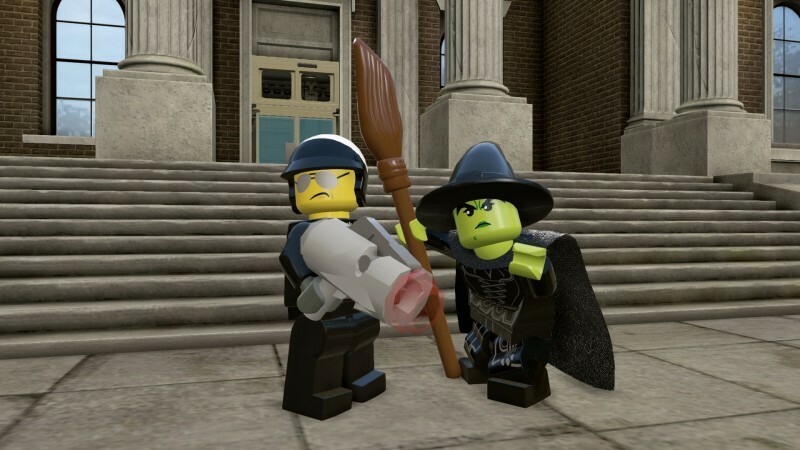 Get ready for more franchises than have ever been featured in a Lego game. 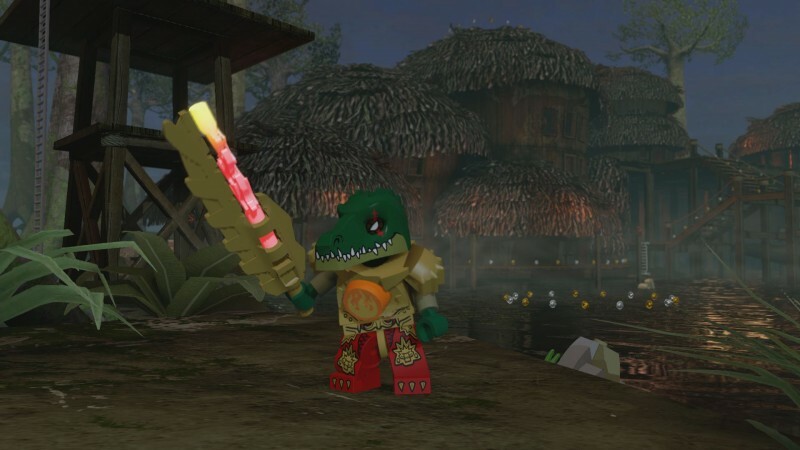 We saw a bit of how this would pan out in the recent Lego Movie, but Lego Dimensions takes so many varied and unexpected franchises and warps them together. 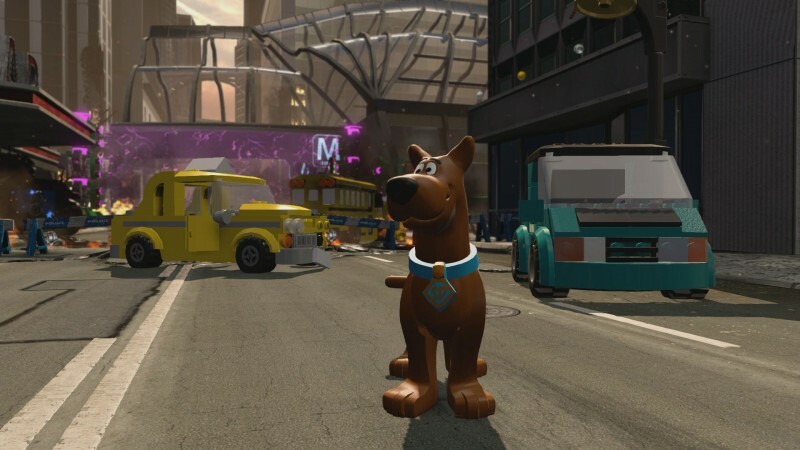 Right now, 14 licenses have been confirmed for the game: Ghostbusters, Portal, Back to the Future, The Wizard of Oz, DC Comics, Scooby Doo, Doctor Who, Lego Chima, The Lord of the Rings, The Simpsons, The Lego Movie, Jurassic World, Midway Games, and Lego Ninjago. When asked about what Midway Games would mean for the game, Warner Bros. said TT Games isn't ready to talk about it yet, but to stay tuned. The game has a total of 14 levels, each with four different areas to explore. From video games to cartoons to classic movies, Lego covered a lot of different bases and audiences here, not catering to specifically one. Who knows if parents will want to explain The Simpsons to their kids, but at the very least you know TT Games won't do anything too risky with the license. Similarly so, this could be parents chance to introduce their children to some of their favorite properties, such as classics like Back to the Future and Ghostbusters. 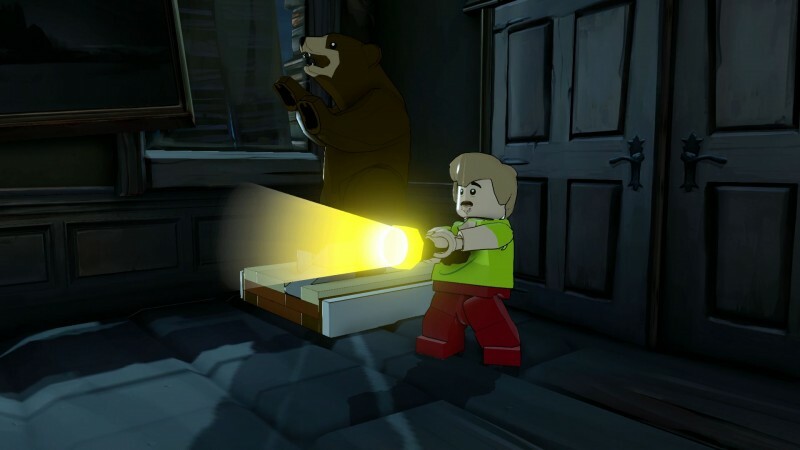 TT Games is aiming to please children and adults alike with Lego Dimensions. "The key thing is it's silly...it's fun," says TT Games' associate producer Mark Warburton. "The guys worked really hard to come up with a story to tie it all together. It's pretty impressive. You can get away with things with Lego because it's fun. It is a family game, but the parents should be sitting in the background, thinking, 'hmm...that's quite funny!'" 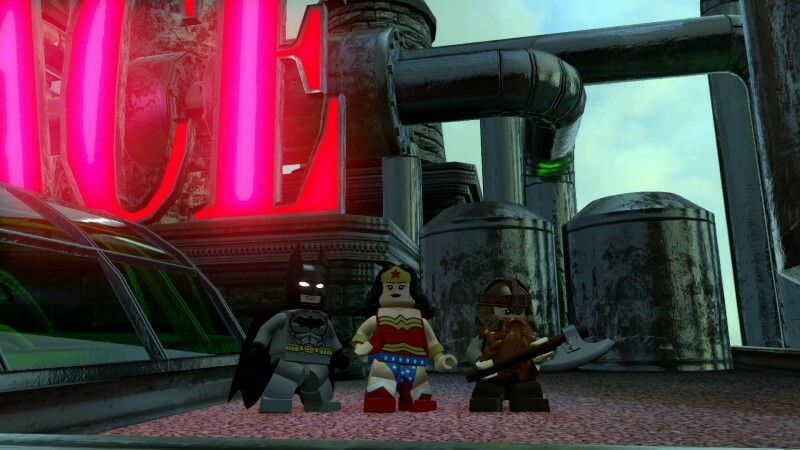 The three stars of the game are DC Comics' Batman, The Lego Movie's Wyldstyle, and The Lord of the Rings' Gandalf. These different and entertaining personalities must work together to stop Lord Vortec, who is making the aforementioned dimensions collide. Expect Wyldstyle to not take any guff and Gandalf to provide the wisdom. Having these characters as leads seems like a smart move by TT Games, as most people have some knowledge of them. 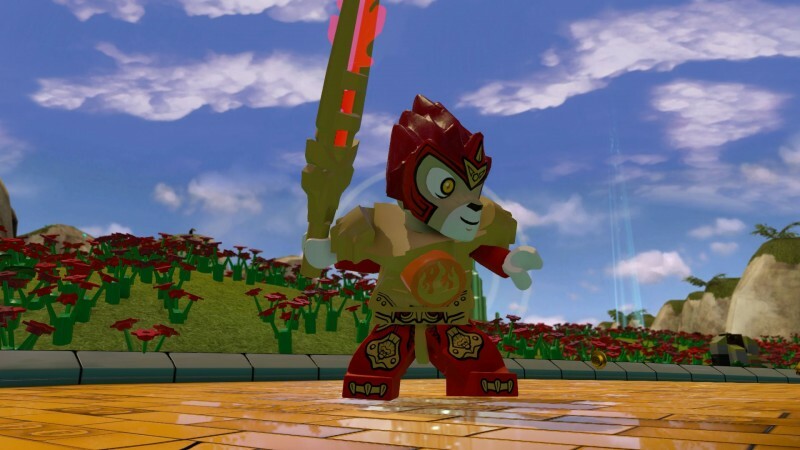 "I think it's a good starting point; fans are familiar with those [characters] from Lego games in the past," Warburton says. "It's safer to introduce them to something they're familiar with first, before we give them this complete and utter mad-trip ride they're going to get for the rest of the game." From what I saw, the three characters played off each other well and provided plenty of laughs, especially when they embark on the yellow brick road together. Seeing them react to these different worlds will definitely be a highlight. For instance, when Batman stepped into the Wizard of Oz world, he was quick to say, "We're not in Gotham anymore. It's so...colorful." Don't even get me started on the core three's reaction to the Wizard of Oz gang. Batman doesn't waste any time again, "The Scarecrow...I knew it!" Batman, Wyldstyle, Gandalf, and the Batmobile all come in the Starter Pack for $99.99. You can complete the entire critical path with just this content, but if you want extra characters, vehicles, or weapons, those are also available for purchase. This also opens up additional content in the levels. 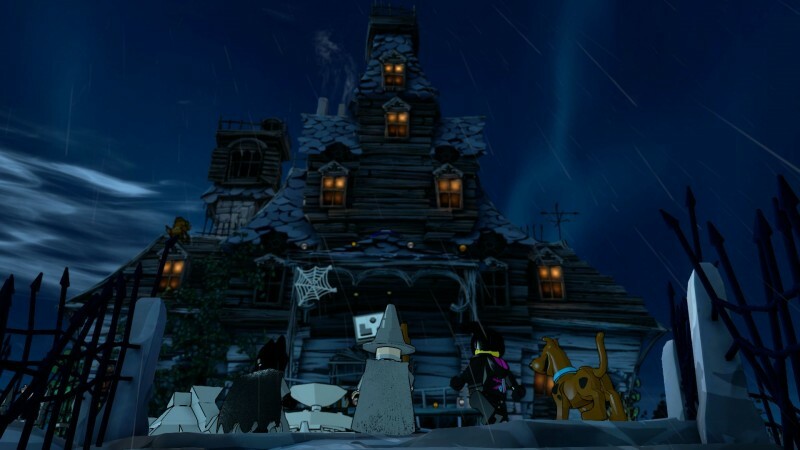 For instance, Warburton teased that you may see ghosts flying around a level and need the Ghostbusters to take them out. 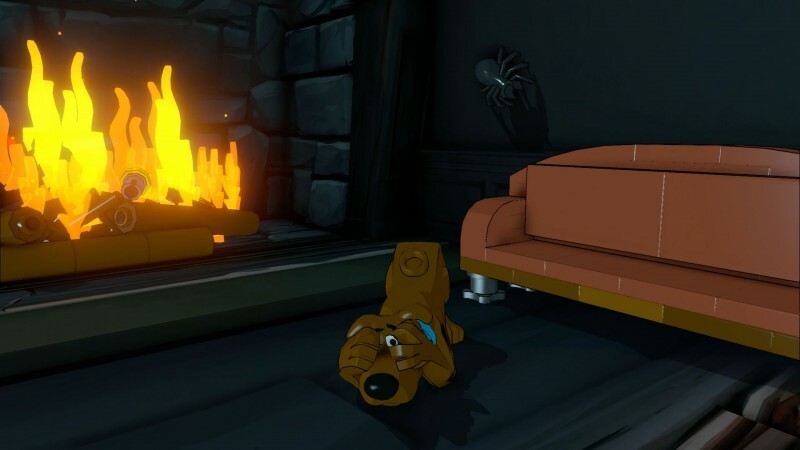 As another example, in my demo, I used Scooby to dig and open up a new area. Not much has changed with the basic gameplay, which has you collecting studs, building and rebuilding within the world, and switching between characters to get past obstacles. I still got the collector’s itch, trying to track down every stud possible for upgrades. During my hands-on time, I did everything from using Batman’s grapple hook to tear down big obstacles to driving the Batmobile to run over poppies (flowers that put characters to sleep if they’re near them). My fight with the Wicked Witch of the West was easily the highlight, as I threw my batarang to injure her while she flew through the air. 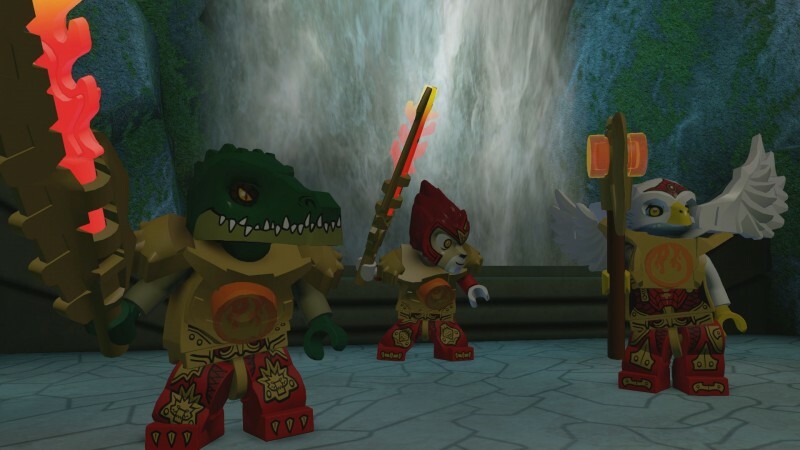 This time around, more emphasis is put on using the plastic Lego Gateway outside of the game to avoid obstacles. For instance, the Wicked Witch cast a magic spell on me, locking me in position. The Lego Gateway in front of me then flashed red, save for one white safe area. I then physically moved the figure over to it, breaking the spell. Using the pad more is a deliberate change for this Lego game. “We didn’t want the pad to just be a spawning device,” Warburton says. Let’s not forget what makes Lego what it is: building. While you build things using your virtual characters to get around in the game, that’s not the same as you having a hand in the actual building. As shown off in the recent trailer, every vehicle has three different forms, and you must build and rebuild them throughout the adventure to get by. During my demo, I had to repower a gateway before I could get to my next destination. The problem? The generator is encased in blue Lego bricks. My Batmobile isn’t the car for the job, but if I rearrange its parts and build it into the Batblaster, I’m home free due to its new brick-blaster and electricity shield. I receive in-game instructions on how to take apart my Batmobile and physically morph it into the Batblaster. After rebuilding the car, I put it on the Lego Gateway and see my Batblaster appear in the game. The sonar brick-blaster is exactly what I needed to eliminate those pesky blue bricks. Level Packs: $29.99, contains an additional new mission-based game level along with a minifigure, a vehicle, and a weapon. Team Packs: $24.99, provide two minifigures and two vehicles or weapons, all with their own unique abilities. Fun Packs: $14.99, provide a new minifigure and a vehicle or weapon. 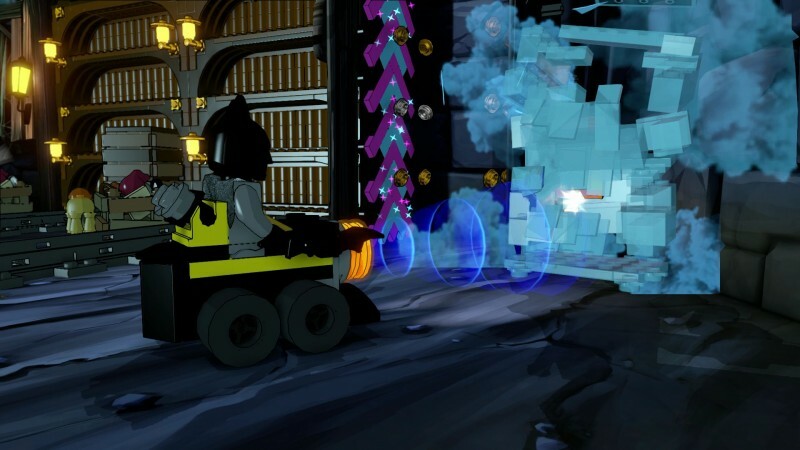 Are you interested in Lego Dimensions? Let us know in the comments below.